"There are a lot of factors that will help predict the likely price trajectory of gold in 2017. Here's the lowdown"
Historically, gold has been a safe-haven, and any turmoil - natural, economic or political - drives gold demand not just in India but across the world. The US Presidential elections, for instance, led to wild gold price swings as campaigns progressed. It is only in relatively uneventful times that gold stagnates. There are a lot of factors that will help predict the likely price trajectory of gold in 2017. The primary driver of gold prices is the relative strength of the US dollar. A weak dollar makes for higher gold prices, and vice versa. The benchmark US dollar Index is at a 14-year high at 101.27 and indicates weak gold prices. However, this gets a new angle in India because a strong dollar also leads to a weakening rupee and, therefore, the price of gold, all of which we import, increases. Taxes, such as customs duty, skew this even further. The second major factor is the US Fed rate. Since the US economy is doing well, interest rates will be hiked leading to investments moving from gold into bonds in the quest for a better risk-reward ratio. However, this is a moving target and interest rates can be reversed as easily. So, tracking this is important. Allied with this, is US inflation, which is directly related to the interest rate decision, as well as the value of the US dollar vis-Ã -vis other currencies. The third key influencer is physical demand. 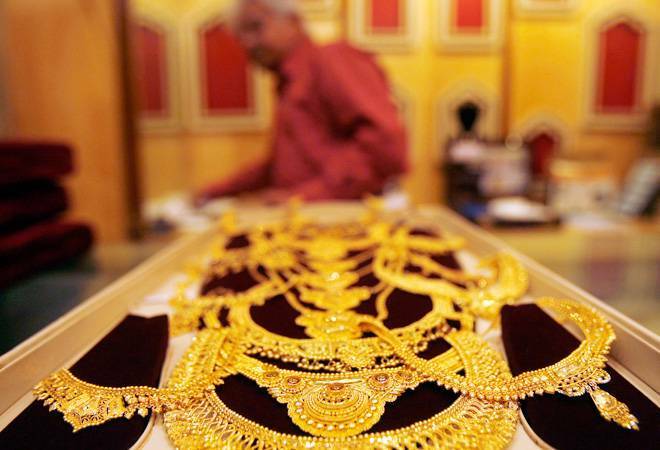 This is why India and China's gold demand is keenly watched for any significant changes, including festival or wedding seasons, which create demand to spike. Since exchange traded funds (ETFs) and gold mutual funds buy physical gold, it is also an important data to track. The top two gold ETFs globally, SPDR and iShares, hold more than $40 billion worth of gold on behalf of investors. Finally, geo-political uncertainty and other unknowns, such as the security situation in West Asia, Brexit, or devaluation of the Chinese currency, can temporarily drive gold prices down. In this basket falls India's current demonetisation drive. More than the price of gold, it will impact the industry because overall gold demand will fall with the government making a sustained effort to drive down gold consumption through a series of steps, including the introduction of sovereign gold bonds and the gold monetisation scheme. Importantly, the depreciation of the rupee against the dollar may be the defining element in predicting gold prices in India. Given our inflation and interest rate differential with the US, gold will give positive returns in India over a few years. Current gold prices are hovering around $1,190 per ounce, which at the current exchange rate (including import duty) is at Rs 28,700 per 10 gram. Considering that we started the year at $1,118 per ounce, or Rs 26,638 per 10 gram, gold has fared well as an investment. Global uncertainty and a weakening rupee will likely ensure gold prices close above Rs 31,000 per 10 gram by 2017-end. But gold has a life beyond the US elections, Fed interest rates, Brexit and demonetisation. It is globally accepted as a currency and no government has a fiat over it. You can invest through commodity or equity exchanges, ETFs or gold mutual funds. One can also buy sovereign gold bonds issued by the government.